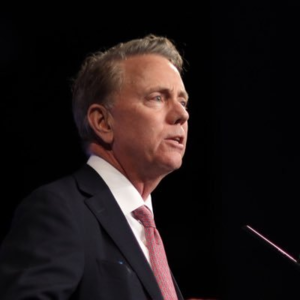 Governor Ned Lamont today announced two proposals that will cut down on paperwork and fees for businesses across state. One proposal will eliminate a $250 biannual fee businesses are required to pay, along with certain filing requirements. The other proposal begins the process of digitizing services between agencies and residents. Both initiatives are designed to help make it easier for businesses to focus on development and innovation and alleviate administrative burdens. Governor Lamont is proposing to eliminate the $250 business entity tax that businesses are required to file every other year, along with a corresponding application. He is also proposing the creation of a Connecticut Digital Service that reflects residents’ comfort with and expectation of a seamless digital experience. Housed within the Department of Administrative Services, the new digital service will work with all agencies to move their interactions with businesses and residents to the cloud, providing a digital one-stop-shop for residents and businesses. One of the goals is to advance cost-saving changes to digital procurement to avoid purchasing over-priced, underperforming IT systems. Further, as the current generation of IT professionals retires, it begins to modernize Connecticut’s digital workforce to support more rapid forms of technology delivery. The initiatives will be included in the budget proposal that the governor will deliver to the General Assembly on February 20.